Yes it is true! BlackBerry owners can now download 40 premium apps for their BlackBerry phones running on OS 7.1. 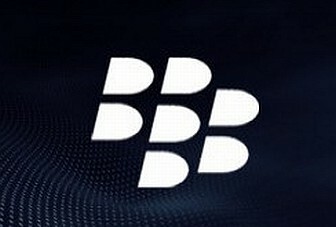 This is a great announcement for loyal BlackBerry users who have been eagerly waiting for BlackBerry 10. Unfortunately, the release date for this has been deferred. In place of that, users got the announcement that they will get a number of cools apps worth $40 to download for the time. Hence, they will have something to keep them busy. Get your free Blackberry apps here. RIM has gone an extra mile to show their gratitude to their users by offering them all these apps. However, you have to have a BlackBerry running on OS 7.1 to be able to use these apps. You should check the version of your operating system before downloading them. Even if you do not have 7.1 OS, it would be a perfect time to go for an easy update that wouldn’t take too much time. The complementary apps bundle from BlackBerry includes some of the most popular and diversified apps. It includes productivity apps such as Photo Studio PRO, Shazam Encore, Jingu Text Premium, Sticky Notes-Wallpaper Notes, SmartAlerts, BePopup – Message Preview. In addition there are some popular apps such as The Adventures of Tintin, Midnight Bowling 2, Super Color LED, TuneIn Radio Pro, BeWeather, Screen Muncher, N.O.V.A for BBM and so on. The bundle also includes other apps e.g. Jingu Smileys Premium, Anti Theft with Phone Tracker, Where’s Wally Now and GPS Ski Maps. As you can see these entire apps are premium ones, and it would make a big dent in your wallet to purchase them. But now you will see that their price has been slashed to $0.00. You can download all of these apps for free and enjoy them without any worry. However, this is not an unlimited offer. Once this promotion from BlackBerry begins, it will remain valid until December 31, 2012. After that, you will again need to pay for these apps. Hence, if you have a BlackBerry, you should download these apps immediately. If you love playing with your BlackBerry, this is a golden opportunity that you must take.